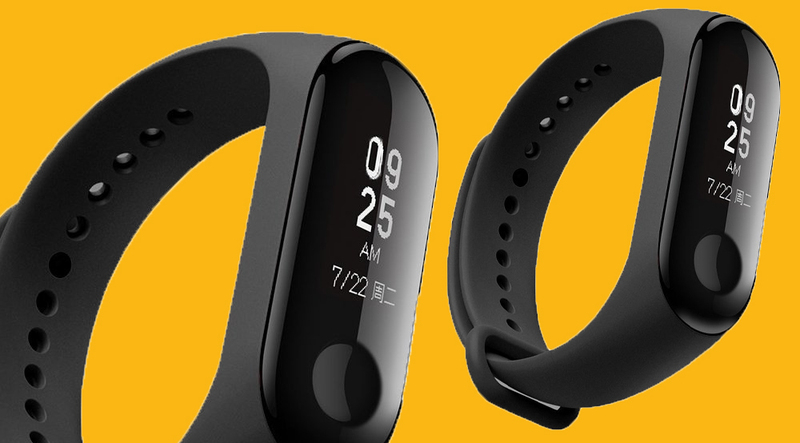 Mi band 3 or 2 cannot connect with your phone? Bluetooth connection always break? these are the most common issues, and how to fix them easily. pairing your Mi band3, or 2 with your phone, allow you to benefit from their cool list of different smart features. usually this is a very simple, and easy process and it doesn’t even need an article. it’s about 3 to 4 crucial steps, and you’ll get the job done. but sometimes, and for some reasons these steps can be followed by some issues. in this article we will cover 9 most common Mi band3 pairing issues along with their solutions to help you pass over them, and get connected easily. Note: before we start, there are something to point out here as a Mi band user, You can only log into one Mi account on any single phone at a time. and only one Mi account can pair with one Mi band. this means you cannot log into two Mi accounts at the same time on the same smartphone. If you want to pair with another Mi band, you will need to first unpair the first band on the Mi Fit App before connecting a different band with the same phone. If you really want to use two bands, create a new Mi account and pair one band with it. When you want to switch to another Mi band, simply log out of this Mi account on the Mi Fit App and then log in to the other account. 1. My Mi band 3, or 2 can’t connect to my phone’s Bluetooth. The very first thing you need to confirm is whether or not your phone’s OS and Bluetooth version match the Mi band 3’s, or 2 minimum requirements. The Mi Band 3, and 2 needs at least Android 4.3 OS and at least iOS 8.0; similarly, the Bluetooth version should be 4.0 or higher. 1.Check whether your phone’s Bluetooth is on, and also check the Bluetooth connection records. If there is an excessive amount of records, clear them and then restart the pairing process. -Do not connect the Mi Band 3, or 2 directly via your phone’s Bluetooth interface. The correct way to pair is through the proprietary Xiaomi Mi Fit App. -Make sure your Mi Band 3, or 2 has sufficient power. Crucially, the distance between the smart band and your phone should not exceed 30 feet (10 meters). Even within this effective distance, obstacles can still affect and disrupt the Bluetooth signal, so the optimum distance is within 5 meters. -Switch off your phone’s Bluetooth and then restart it – or reboot your smartphone. Try the pairing process again. -If all the above methods do not resolve the connection issue, try the pairing process using another; if this works, then that suggests there may be a fault with your phone – for instance, product quality or component issue. Please contact after-sales service for further technical assistance. 2. My Mi band 3, or band 2 can only connect to my phone when the smart band is charging. The most likely reason is the band’s battery has run out. Check the available battery power percentage either on the band or on the Mi Fit app — Profile interface — Mi band 3 interface (located under “My devices”). If the band is in a low battery state, charge it for 3 hours to ensure it is full. Afterwards, disconnect it from the charging cradle and retry the Bluetooth pairing process. If the above pairing still does not resolve the issue and charging only works like the user says, that suggests a serious underlying issue. Please contact the after sales service and relay the issue to them. I’m sure They will resolve it on your behalf. 3. 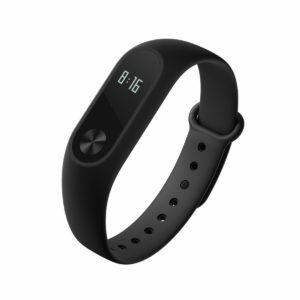 Mi Fit App states that no Mi band device is available. -Check whether your Mi Band 3, or 2 depending on which one you have, has sufficient power/charge. -Place the smart band near your phone with no obstacles between them. -Turn off your phone’s Bluetooth feature and restart it. Also try rebooting your smartphone. If the device search is still not successful. -Try to connect the band with another phone which meets the requirements. If this step also fails, the most likely reason is product quality. Contact the after-sales service, and describe the problem clearly for professional support. 5. The Mi Band 3 Bluetooth connection will break during use, and sometimes is unable to reconnect. -Reboot your phone and launch the Mi Fit app. -If the issue persists, uninstall and reinstall the app and then download and install it again. -Close the Mi Fit app and then launch it again, there should be a firmware update notification. The update will be pushed to your band and automatically run. If there is no update, continue to the next step. 6. The Bluetooth connection between the Mi band 3 and the phone always breaks. -Please ensure there are no obstacles between the phone and the band to disrupt the Bluetooth signal. -Keep the distance between your phone and the band under 10 meters (30 feet), or ideally under 5 meters (15 feet) according to user feedback. If the effective distance is exceeded, the Bluetooth connection will be severed; reducing the distance will allow the connection to become more stable. 7. Even I put Mi Band 3 and phone right next to each other, the Bluetooth connection still breaks! The most probable cause is incompatible Bluetooth versions on the phone and Mi Band 3. Test this by using another phone to connect with the band and observe whether the problem occurs again. If the problem doesn’t reappear, this confirms that Bluetooth incompatibility is the reason. Either take your main phone to a professional technicians or just change to another phone. However, if the same problem is replicated, there may be a technical fault with the band’s Bluetooth module. Contact the after-sales service for help in this case. 8. My phone still cannot connect to the Mi band 3 after rebooting. We advise you to clear all the phone’s Bluetooth previous connection records and retry again. ● Tap each device and choose “Forget This Device” / “Unpair”, to remove and delete the connection information history. ● Now restart the phone and try connecting/pairing your Mi band 3 with your phone. 9. After changing to a different smartphone, I cannot connect my Mi band 3 to it. This is because your band is still bound to your old phone. You need to unpair it from that phone first. ● Install the Mi Fit app on your new phone and enter your Mi account (the one you normally use with the band). ● Enter Profile — My devices — Mi Band 3, tap it and swipe to the bottom of the page, before tapping “Unpair” to finish this step. ● Go back to the Mi Fit application’s Profile page, tap “Add device” under the My devices bar, then add this band to pair it with your new phone. We hope this troubleshooting article has helped you to resolve your Mi band 3 Bluetooth issues.